Lucky Bansko SPA & Relax aparthotel has a Global Review Index of 94.2%. 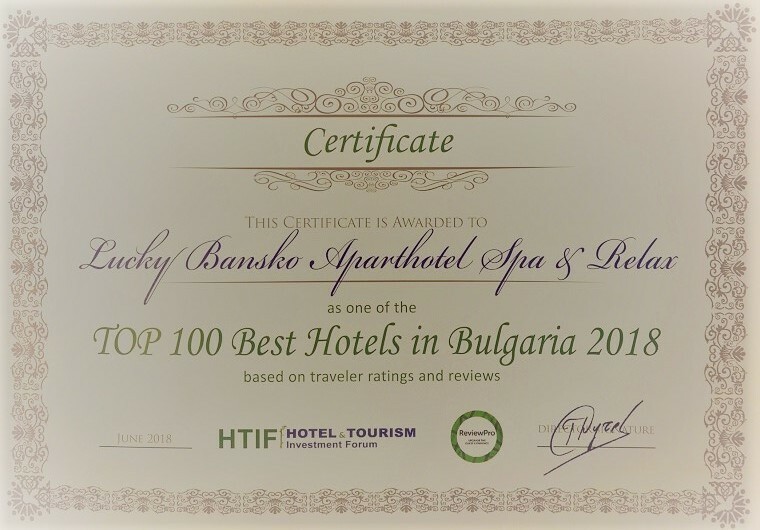 This is the highest hotel index in Bulgaria for 2018 and it means a tremendous appreciation and trust given by real hotel guests in the online area. The Global Review Index is a business indicator of ReviewPro – undeniable world leader in evaluating online hotel reputation. This rating aims to encourage good practices in the hotel business and to support hotels that maintain a sustainable high quality product. Among the criteria of the Global Review Index are: the hotel’s overall online reputation and difference from the previous year, the total number of comments received online, the semantic assessment of the positive reviews and their reflection in the total result. For the objectivity of the assessment, shows one more fact – the Global Review Index is measured by a survey of more than 200 websites in more than 75 countries around the world. 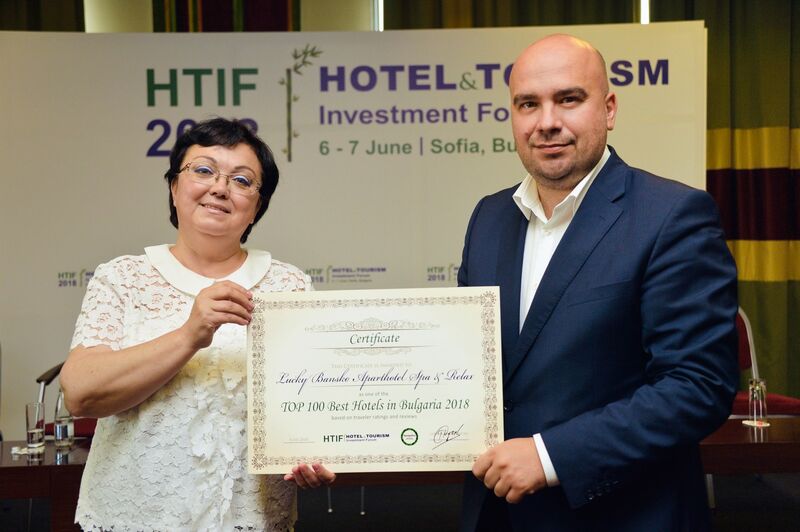 The awards were given on 6th and 7th of June 2018 in Sofia, where the third Hotel Investment Forum was held. The event was inaugurated by the Minister of Tourism – Nikolina Angelkova. During the forum were discussed the current aspects of tourism development in Bulgaria and abroad and trends for its elaboration. Leading hoteliers, tour operators and managers from international hotel chains such as TUI Hotels & Resorts, Hyatt International, Marriott International, Hilton Worldwide, Choice Hotels, The Louvre Hotels Group shared their experience and positive practices for a successful business.